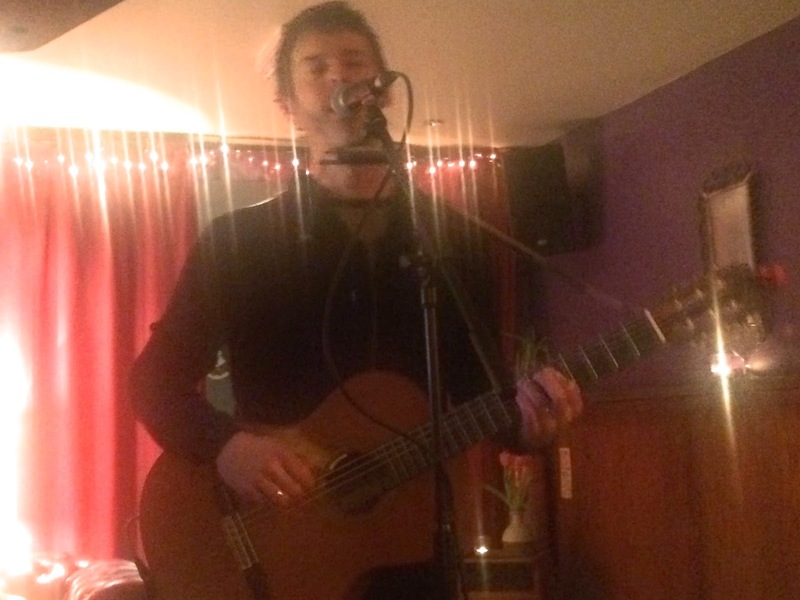 Early January is a time of fairly slim pickings on the live gig front, but we were treated to a special acoustic evening with three great acts at the intimate surroundings of the Strange Brew in Chorlton. Jo Rose headlined with a special guest appearance from Klara from First Aid Kit and he was ably supported by Mano McLaughlin and Lucy & Virginia. The Strange Brew, formerly The Jackalope, is an unusual gig venue in that it's really not suited for such things. It's a narrow back room of a pub with the noise of the bar coming through from the front, but also punters have to walk past the artists on stage to use the toilet facilities. It's not helped tonight either by an ignorant few that think their conversations are more important than the artists performing and the enjoyment of the majority of stripped-down acoustic performances, but those are the drawbacks of a free gig sometimes. 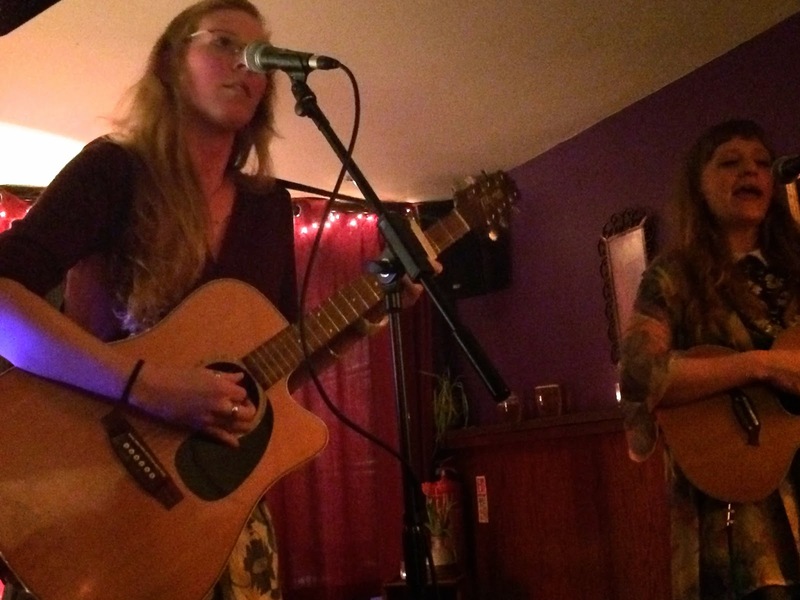 First up are Lucy & Virginia and they perform a six-song set of four originals, with each of them singing two songs each with the other providing backing vocals and harmonies and then concluding with two country bluegrass covers, accompanied by a violinist hidden at the back. The highlight of their set is a new song called To The River, sung by Lucy, and one of the covers, The Cox Family's I Am Weary. The covers sound fantastic, but it's their own songs that lead us to think there's much more to come from them. 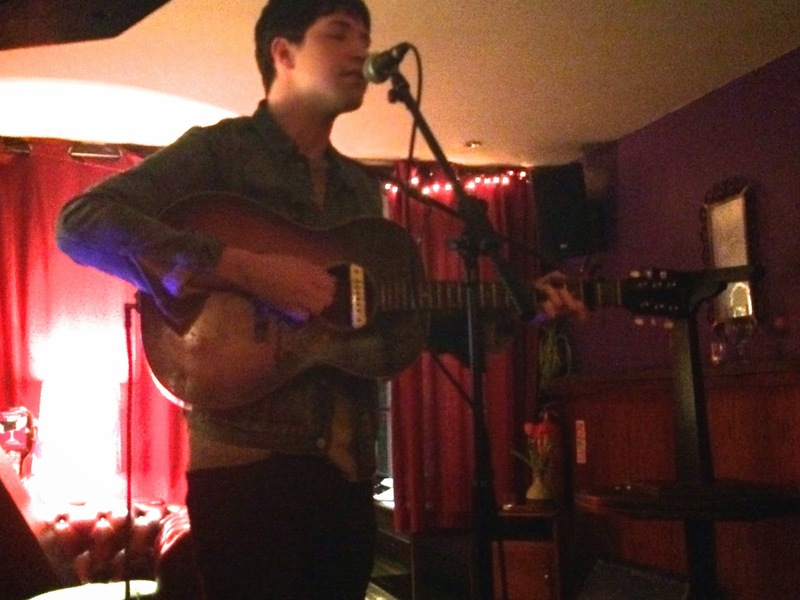 Mano McLaughlin has captivated us as much in the past with his guitar playing as his vocals. His playing style, using four fingers on his right hand to wring every last note of the guitar as well as using his mouth organ to add more to the sound. The majority of his songs come from his debut album Peach And Bones as well as his previous band Meadow. Highlights are his closing two songs - the stunning Meadow track Bus Stop Strangers, a tale of the boyhood Mano meeting the adult version and not recognising him and set- and album-closer Secret Scarecrow Dance. His songs are perfect for these small intimate rooms as we can hear every subtlety in his playing and take and assimilate their lyrical content. . He takes time out between songs to try and explain his songs to the audience like a true troubadour. We have to admit to being indifferent to Jo Rose in the past. In a city full of acoustic singer-songwriters, we'd seen him a few times and felt it was all a little under-powered and whimsical, but tonight we're proven completely wrong and we're not ashamed to admit that. Whether it's the confidence of having played on big stages recently supporting First Aid Kit, the consequence of releasing his debut album Spurs (which we've gone back and listened to since and can confirm blows away all those concerns we had before) or just that we'd caught him at the wrong shows at the wrong time, tonight we're absolutely captivated by his set and he charms us with his between song chat and the way he engages with his audience after the show as well. The emotion crackles in his voice when he sings, his guitar sounds rich and redolent and the songs feel alive with a sense that he's sharing his deepest darkest (and lightest) feelings in each and every one of them. His shyness and his humility and genuine surprise and gratitude that so many people have turned out on a wet Wednesday are incredibly endearing and completely in keeping with those songs that he sings tonight. He plays all nine songs off the album plus a cover of Thomas Van Zandt's Rake in the main set. The great thing, and a rarity in acoustic shows of fifty minutes is that the quality and intensity doesn't drop. Songs like I'm Yr Kamera, River Reflection, Terrible Liar and Another Name For Mercy lose nothing stripped of the array of other instruments on the record. 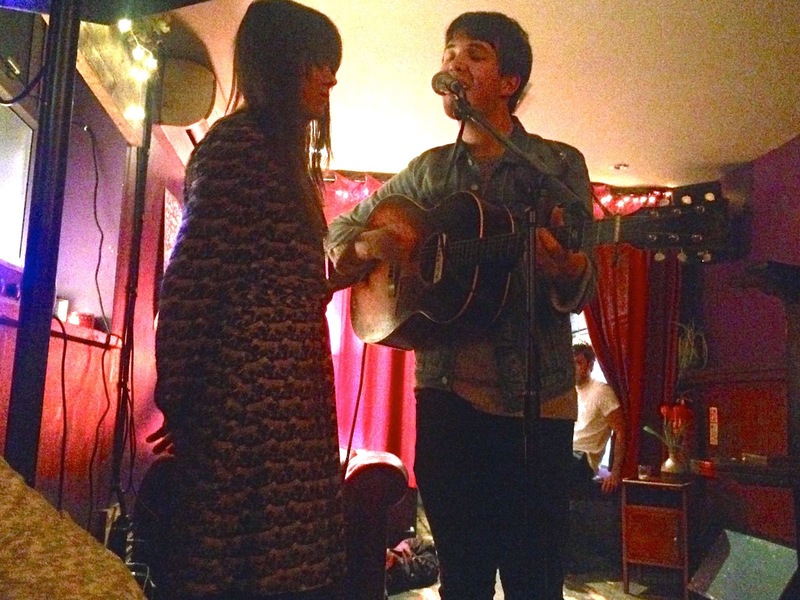 He closes with two songs accompanied by his partner Klara from First Aid Kit. They start with album closer Mary's Dress and then, as an encore, cover Wilco's You And I. The chemistry between the two, both in their performance and the way their vocals work so well together is very evident. It's not often an artist or band changes our mind about them, but Jo Rose did more than that, and we hope to see him in much more conducive venues soon. Jo Rose's official website can be found here. He is also on Facebook and Twitter and Spurs can be bought digitally on Bandcamp. Videos courtesy of Mancmusic's Youtube channel.